I wanted to give you an update on the fitting you gave me a couple weeks ago. Since then, I have gone about 165 miles over 7 rides. My longest ride was this past Saturday - 40 miles in just over 2.5 hours. So, by now, I feel like I can safely say that I love this new position. At first, I noticed some discomfort in the perineum area, but that went away after a few rides. My knee feels better too. Even climbing up big hills feels better. I also feel like the handling on the bike has improved. Seems like I can take corners a little faster, better climbing out of the saddle, little bit tighter turning radius. All is good so far and I am very pleased with your fitting service. The equipment isn't nearly as important as the fitter. A bicycle fitter either knows how to fit or he/she doesn't, period. Solon Bicycle has been performing custom bicycle fittings for over 14 years using the area's most advanced fitting tools and equipment. We are certified to fit you properly and will never use a bike trainer in this process, because that's just not how it's done correctly. Bike fitting can be one of the most important aspects in choosing your bicycle or perfecting your fit on your existing bicycle. Bicycles come in many varying geometries that can affect your overall comfort, pedaling efficiency, and performance capabilities. Needless to say the correct fit is very important and should be the highest priority when selecting you new bicycle. Many conventional fitting methods rely on personal experience and opinion along with the potential for inaccurate measurements. 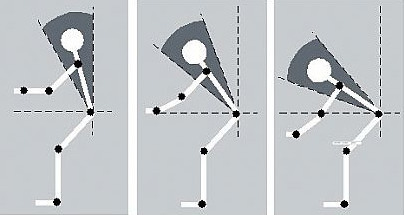 The Body Scanning CRM uses modern technologies to ensure precision resulting in a vastly more accurate fit for the rider based on exact measurements. 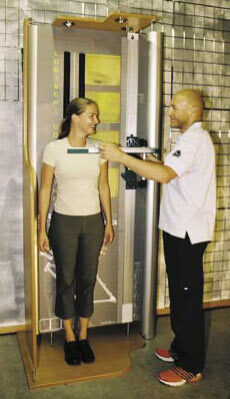 *Body Scanning is included FREE with new road bike purchase. If you choose to pay for this service and buy your road bike from us within 30 days, we will refund the fitting fee on the bike invoice. Lasers? How does that work? Call or e-mail to book your deluxe fitting. We use a 2-step process for your existing bicycle. 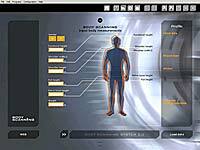 With this process, we start by using our Body Scanning CRM laser fitting machine to establish proper sizing, then get you pedaling on your bike (on indoor trainer) to secure a perfect fit. 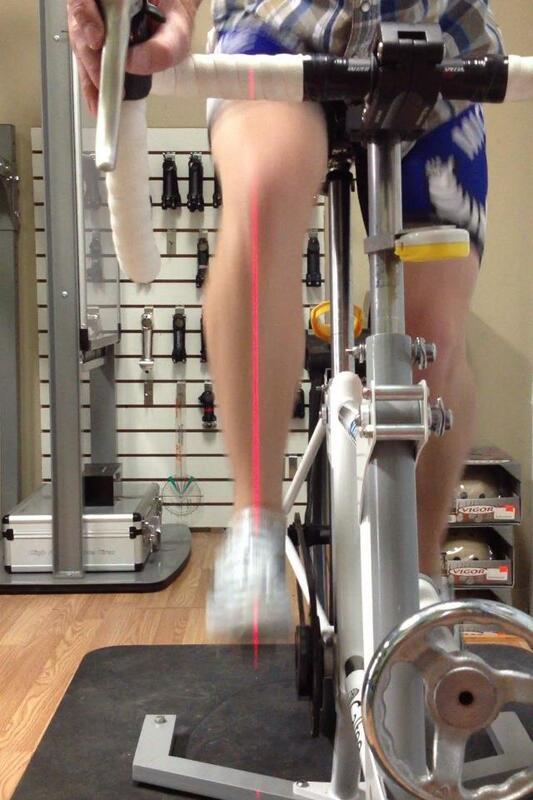 We use laser levels to perfectly align you to your machine. The deluxe fitting is especially helpful for troubleshooting applications where you may be experiencing pain after of during your bike ride. This service typically takes about an hour. If you have another bike you'd like to have setup per your sizing specs, we will gladly perform that service for only $50. For more information, call Dan at 440-349-5225 or e-mail directly.